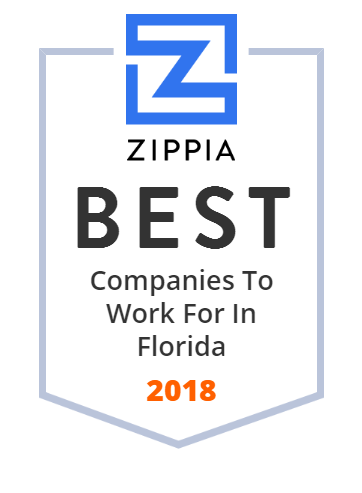 We hand-curated a list of the biggest companies to work for headquartered in and around Florida using data on salaries, company financial health, and employee diversity. Florida (/ˈflɒrɪdə/; Spanish for "land of flowers") is the southernmost contiguous state in the United States. Carnival Cruise Line is an American cruise line with headquarters in Doral, Florida. Bloomin' Brands, Inc., is a hospitality industry company that owns several American casual dining restaurant chains. The company was established in 1988 in Tampa, Florida, where it is headquartered. Royal Carribean Cruises is one of the top cruise lines internationally. They offer a variety of cruise choices, so that anyone can find the best cruise option. Sykes Enterprises, Incorporated is an American multinational corporation headquartered in Tampa, Florida. Outback Steakhouse is an Australian-themed American casual dining restaurant chain, serving American cuisine, based in Tampa, Florida. Headquartered in Altamonte Springs, Florida, Adventist Health System is a non-profit health care organization that operates facilities within the Southern and Midwestern regions of the United States. Southeastern Grocers, Inc. is one of the largest conventional supermarket companies in the US It is a parent company of BI-LO, Fresco y Mas, Harveys Supermarket and Winn-Dixie grocery stores. Southeastern Grocers can be found in seven southeastern states of Alabama, Florida, Georgia, Louisiana, Mississippi, North Carolina and South Carolina. The company's mission is to create a positive shopping experience for its customers. Southeastern Grocers is headquarted in Jacksonville, FL. Fresh Del Monte Produce Incorporated is a global producer, marketer and distributor of fresh and fresh-cut fruit and vegetables. Fresh Del Monte Produce is also a producer and distributor of prepared fruit and vegetables, juices, beverages, snacks and desserts in Europe, the Middle East and Africa. Fresh Del Monte Produce markets its fresh products worldwide under the Del Monte, UTC, ROSY and other brands. A key product is its Del Monte Gold pineapple. Although no longer affiliated with Del Monte Foods, Del Monte Produce continues to market pineapples, bananas, and other produce under a licensing agreement for the Del Monte label. Fresh Del Monte operates the shipping line Network Shipping. Office Depot, Inc. is an American office supply retailing company headquartered in Boca Raton, Florida, United States. The company has combined annual sales of approximately $11 billion, and employs about 38,000 associates with businesses in the United States. The company operates 1,400 retail stores, e-commerce sites and a business-to-business sales organization. Norwegian Cruise Line is a cruise line founded in 1966 and based in the United States. Hillsborough County Public Schools is a school district that runs the public school system of Hillsborough County in west central Florida and is headquartered in Tampa, Florida. MasTec has been a leader in infrastructure construction for over 80 years. They have over 22,000 skilled workers, so you can be sure the job will get done. Tyco Integrated Security, a business unit of Tyco International, is a company specializing in electronic security products, installation and services. The company's principal place of business in the US is Boca Raton, Florida; and Mississauga Ontario in Canada with over 10,000 employees and nearly 200 offices throughout North America. C3 is a contact center provider for corporations who view outsourcing objectives as a strong component of their growth and brand development strategies. CareersUSA provides staffing and HR services for businesses in a wide range of industries. We fill temporary, temp-to-hire and direct hire positions nationwide. Miami-Dade County Public Schools is a public school district serving Miami-Dade County, in the US state of Florida. Harris Corporation is an American technology company, defense contractor and information technology services provider that produces wireless equipment, tactical radios, electronic systems, night vision equipment and both terrestrial and spaceborne antennas for use in the government, defense and commercial sectors. They specialize in surveillance solutions, microwave weaponry, and electronic warfare. NextEra Energy, Inc. (NEE) is a Fortune 200 energy company with about 45,900 megawatts of generating capacity, revenues of over $17 billion, and about 14,000 employees throughout the United States and Canada. Its subsidiaries include Florida Power & Light (FPL), NextEra Energy Resources (NEER), NextEra Energy Partners (NEP), and NextEra Energy Services. FPL, the largest of the subsidiaries, delivers rate-regulated electricity to approximately 5 million customer accounts, or an estimated 10 million people, across nearly half of Florida and is the third largest electric utility company in the United States. NEER, together with its affiliated entities, is the world's largest generator of renewable energy from the wind and sun. In addition to wind and solar, NextEra Energy Resources owns and operates generating plants powered by natural gas, nuclear energy, and oil. Roper Technologies, Inc. (formerly Roper Industries, Inc.) is an American diversified industrial company that produces engineered products for global niche markets. The company is headquartered in Sarasota, Florida. Chico's is a retail women's clothing chain founded in 1983 by a three-person operation on Sanibel Island, Florida. Orange County Public Schools is the ninth largest school district in the United States and the fourth largest in Florida. Orange County Public Schools consists of about 24,000 team members, of which eight members are in The School Board and serves more than 207,000 students at 191 schools. Its mission is to lead students to success with the support and involvement of families and the community. The University of South Florida is a public university offering undergraduate, graduate, specialist and doctoral level degrees. It has three institutions: USF; USF St. Petersburg; and USF Sarasota-Manatee, and 14 colleges offering more than 180 undergraduate majors. The university's staff of about 16,000 people services more than 50,000 students. University of South Florida was founded in 1956 and is based in Tampa, Florida. Tupperware Brands Corporation, formerly Tupperware Corporation, is an American multinational direct sales company. Their main focus are kitchen and household products, particularly plastic containers for food storage and preparation. By extension, the food containers are often referred to as Tupperware. Florida State University is a preeminent research university that was founded in 1851 in Tallahassee, FL, and is the oldest continuous site of higher education in Florida. It offers 301 bachelor's, master's, doctoral, specialist, professional degree programs ranging from liberal arts, music, visual arts, and education, to criminology, engineering, social work, and information. The university currently employs over 14,000 people. B/E Aerospace, Inc. was a manufacturer of aircraft passenger cabin interior products for the commercial and business jet aircraft markets. B/E Aerospace has leading worldwide market shares in all of its major product lines and serves virtually all of the world's airlines, aircraft manufacturers and leasing companies through its direct global sales and customer support organizations. Based in Wellington, Florida, the company was capitalized as a $4.2 billion corporation as of January 2016. Lincare Holdings provides oxygen, respiratory and home infusion products and services to help patients manage their chronic respiratory conditions. Services include: oxygen therapy; sleep therapy; home infusion therapy; pediatric services; enteral therapy; etc. Lincare has over 1,000 locations in 48 states and employs over 14,000 people that help patients remain engaged in life. Lincare Holdings Inc. was founded in 1972 and is headquartered in Clearwater, Florida. VITAS Healthcare provides hospice care and palliative services to patients that suffer from terminal illnesses. Its workers can help patients to reduce anxiety and offer needed spiritual and emotional support at the end of their lives. The hospice provides services in the patient's home or in inpatient hospice units in 14 states. It offers a variety of service, from music therapy to pet visits. Founded in 1978, VITAS has its corporate headquarters in Miami, FL. Broward County Public Schools, a public school district serving Broward County, Florida, is the sixth largest public school system in the nation. The University of Central Florida is a research university in Orlando, FL, and one of the largest universities in the US Founded in 1963, UCF and its 13 colleges offer more than 216 degrees from UCF's main campus, hospitality campus, health sciences campus, online and through its 12 regional locations. UCF has more than 67,000 students and over 12,000 faculty and staff. Baptist Health offers an extensive range of medical, surgical and technological services -- including weight-loss surgery, pediatrics, addiction treatment and cancer care -- provided by renowned physicians. Conveniently located throughout South Florida, they have Baptist Medical Plazas and outpatient facilities provide cutting-edge surgical, diagnostic and urgent care services in a comfortable, relaxing environment. Masonite International Corporation is a company headquartered in Tampa, Florida, which employs over nine thousand people worldwide. Masonite manufactures interior and exterior doors, door components, and door entry systems. It is one of the world's largest manufacturer and merchandiser of commercial and residential doors. A producer of over 120,000 interior and exterior wood, fiberglass, and metal doors a day, it has operations in more than 60 facilities in twelve countries in North America, South America, Europe, Asia and Africa. Sequa Corporation comprises four discrete businesses around three operating segments - aerospace, automotive, and metal coating. IVAX LLC researches, develops, manufactures, and markets pharmaceutical products worldwide. The company offers respiratory drugs primarily for bronchial asthma, including a breath-operated inhaler called BREATHMATICa in the United States; Easi-Breathe in other countries; and a dry powder inhaler, as well as metered-dose inhalers. The company also develops various inhalation products, such as chlorofluorocarbon-free inhalation aerosol products; Xorane; TP-38; Cervene; and Talampanel. The company offers its products to wholesalers, retail drug chains, retail pharmacies, mail order companies, physicians, pharmacies, hospitals, managed health care organizations, and government agencies. The company was founded in 1987 and is headquartered in Miami, Florida. As of January 26, 2006 IVAX LLC operates as a subsidiary of Teva Pharmaceutical Industries Limited. Carrabba's Italian Grill is an American restaurant chain featuring Italian-American cuisine, owned and operated by Bloomin' Brands and headquartered in Tampa, Florida. Unparalleled janitorial and maintenance services fueled by premier know-how, the latest operational tools, and the power of our highly trained workforce. 1-800-351-1557. Citrix Systems, Inc. provides server, application and desktop virtualization, networking, software as a service (SaaS), and cloud computing technologies. This multinational software company aims to power a world where people, organizations and things are securely connected and accessible to make the extraordinary possible. They help customers reimagine the future of work by providing the most comprehensive secure digital workspace that unifies the apps, data and services people need to be productive, and simplifies IT's ability to adopt and manage complex cloud environments. Pasco County Schools is a school district that serves Pasco County in the US state of Florida. Since 1953, Memorial Healthcare System has been providing high-quality healthcare services to South Florida residents. It is one of the largest hospitals in Florida that offers diverse health care services such as cancer care, heart and vascular, mental health, neurology and neurosurgery, pediatric, and other services. Its mission is to provide exceptional patient-and family-centered care. Memorial Healthcare System is based in Hollywood, FL. Ocwen Financial Corporation (Ocwen), established in 1988, is one of the largest mortgage companies in America. Its primary business is mortgage loan servicing and origination. Headquartered in West Palm Beach, Florida, Ocwen's global community has team members are located throughout the United States, US Virgin Islands, India and the Philippines. The company's aim is to provide caring service and innovative lending solutions for homeowners and commercial customers. Lee Health is the largest healthcare system in Southwest Florida with over 100 locations and offering doctors and medical services throughout Lee County. PMI, Inc. is a Temporary Employment Service, which hires its own employees and assigns them to customers to support or supplement the customer's work force. Lennar is known as one of America's leading homebuilders. From first home-buys to retirement communities, Lennar has been helping people take the next step to create their dream home since the 1950s. By following their core values of quality, value, and integrity, Lennar commits itself to building America's homes. Safariland, LLC is a United-States-based major designer and manufacturer of equipment for sporting, military, law enforcement, investigation and public safety personnel, formerly a division of BAE Systems, Inc. a subsidiary of the United Kingdom-based defence and aerospace company BAE Systems PLC. In late 2016 the company was the target of various protests after its "less lethal" munitions products, sold under the Defense Technology brand, were used during the highly publicized resistance to the Dakota Access Pipeline in North Dakota. Hilton Grand Vacations (HGV), founded in 1996, is a global vacation-ownership company. It develops, markets and operates a portfolio of high-quality, shared-ownership properties in highly desired vacation and urban destinations such as California, Colorado, Florida, Hawaii, Nevada, South Carolina and Utah, and internationally in Italy and Scotland. It also operates two best-in-class club membership programs that offer its members maximum flexibility and travel options. Platform Specialty Products, founded in 1922, is a producer of high technology specialty chemical products and provider of technical services. The company specializes in performance solutions and agricultural solutions. Its specialty chemicals are sold into multiple industries, including agricultural, electronics, graphic arts, metals and plastic plating, and offshore oil production and drilling. The company has its executive headquarters in West Palm Beach, FL. World leader in nuclear, federal and commercial security; fire and EMS services; facility and fleet maintenance; construction services; and training. Since 1955, Baptist Health has been serving families throughout the region with high-quality, comprehensive care for every stage of life. It has aa growing circle of care that includes five nationally accredited hospitals and more than 200 primary care and specialty physician practices, children's specialty clinics, home health care, behavioral health, occupational health, pharmacies, rehabilitation services and urgent care. Baptist Health takes pride in the four pillars of its foundation: faith-based, mission-driven, community-focused, and locally-governed. Benihana Inc. (Japanese: 紅花, "Safflower") is an American restaurant company based in Aventura, Florida. It owns or franchises 116 Japanese cuisine restaurants around the world, including its flagship Benihana Teppanyaki brand, as well as the Haru (fusion cuisine) and RA Sushi restaurants. It was founded by Hiroaki Aoki in New York City. Vacation Village Resorts is a leading timeshare company offering deeded real estate interests at more than 50 resort properties. This privately owned and operated company is the largest and fastest growing employee-owned timeshare company in the world. Headquartered in Fort Lauderdale, Florida, they provide beautiful accommodations and friendly, knowledgeable staff, making sure thei customer's vacation will generate a lifetime of wonderful memories. HSN, Inc. is a leading interactive multichannel retailer that offers a curated assortment of exclusive products and provides a unique shopping experience. It has two operating segments - HSN and Cornerstone. HSNi offers innovative retail experiences on TV, online, via mobile devices, in catalogs, and in brick and mortar stores, whereas Cornerstone comprises leading home and apparel lifestyle brands including Ballard Designs(r), Frontgate(r), Garnet Hill(r), Grandin Road(r), and Improvements(r), and also operates e-commerce sites, distributes millions of catalogs annually, and has 16 retail and outlet stores. Founded in 1977 and based in Saint Petersburg, FL. Tallahassee Memorial HealthCare is a private, not-for-profit community healthcare system that provides general medical and surgical care, as well as specialty care in areas, including oncology, rehabilitation, women's and children's health, obesity, and diabetes. The hospital serves the region in North Florida and South Georgia. TMH is comprised of care hospital, a psychiatric hospital, multiple specialty care centers, three residency programs, and 32 affiliated physician practices. Founded in 1948 in Tallahassee, FL. Regal Springs Tilapia is the #1 producer of all-natural tilapia. Its tilapia are grown in large floating pens in vast, untainted lakes in Mexico, Honduras and Indonesia and are fed a nutritious and floating grain-based diet which makes them a great alternative to fish treated with chemicals and antibiotics. Products include fresh and frozen tilapia fillets, loins, and whole fishes that can be found in stores throughout Florida. Employing over 9000 people, Regal Springs continues to be the world's largest producer and marketer of premium tilapia products. Headquartered in Fort Lauderdale, Florida, Kaplan, Inc. is a for-profit corporation that provides educational services to colleges and universities and corporations and businesses, including higher education programs, professional training and certifications, test preparation and student support services. Kaplan was founded in 1938. Keystone Holdings, LLC offers construction services. The company was founded in 1994 and is based in Miami, Florida. OPKO Health is a medical test and medication company focused on diagnostics and pharmaceuticals. The company is a publicly traded company on NASDAQ under the symbol "OPK". The new Tyco advances safety and security by finding smarter ways to save lives, improve businesses and protect where people live and work around the globe. Stein Mart, opened in 1908, offers brand name fashion for men and women, unique home decor and gifts, accessories, and many other quality products at excellent prices. Great deals can be found at its nearly 300 stores or online at steinmart. Com. Its assortment of merchandise features current season and fashion items.